In the spirit of Dr. David Livingstone, the famed missionary pioneer, David Livingstone College of Ministry is committed to delivering Truth to a dark and needy world. Located in Livingstone, Zambia, just 10 km north of spectacular Victoria Falls, the college sits on the campus of the historic David Livingstone Memorial Church, the first Presbyterian church planted in the country of Zambia. 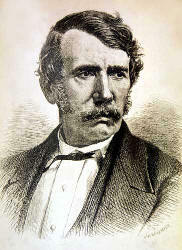 Zambia is the county where David Livingstone died and his heart is buried. In 2013, the David Livingstone Bicentennial Birthday Year, the David Livingstone College of Ministry launched. The college is an academic community offering a sound biblical education, promoting an environment of scholarship, and fostering the examination of truth, in preparation for living lives of significance and influence in local communities and throughout world through Godly character within the framework of the authority and inerrancy of Scripture.